The best time to order is during your in-school order day. A representative will be at your school to answer questions, show samples and collect orders. Please, complete the form below to reserve your cap & gown. 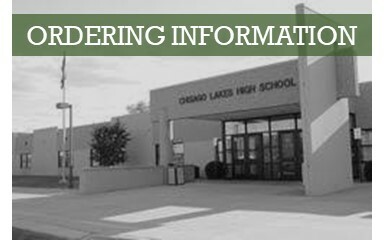 Reservations will be processed as orders once the entire class has submitted their information. You will receive an email confirmation with order confirmation at that time. 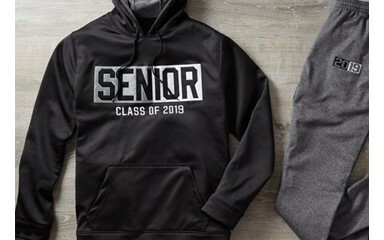 If you are ordering your cap & gown with other graduation supplies your reservation will not be duplicated. A graduation ceremony essential is your school's custom announcement. The announcement is ordered and given to anyone attending your graduation ceremony. It features the Chisago Lakes mascot, gold foil accents & school symbol inside. Celebrate your senior year! 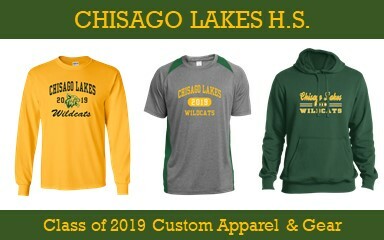 Order Class of 2019 Senior gear and Chisago Lakes Class of 2019 gear. Personalize apparel and gear with countless icons or add your name. No minimums required!